We continue our series of chats with the talented designers we're fortunate to work with on our guides, with this insight into the mind of Mike McQuade. A resident of Chicago, it was Mike who made the Windy City more lovely than ever in Hello Chicago and more recently he brought his magic to The William Brown Project Around Town: New York City. Tell us your three favorite places? Rome, Chicago and my studio which is also my home. In the middle of the countryside with a house attached to a barn converted into a print/design/art studio. Right now? House Industries, Charles & Ray Eames, Alexander Girard. Worst Advice you've ever received? "Don't give this project 100%, we just need to get it done." "Go with your gut" (not for everyone). What's your least favourite smell? You can keep up with Mike's amazing output by visiting his website. When Matt Chase finished work on our wonderful map of Copenhagen we asked him to tell us a bit more about himself. We knew we'd like what he had to say after reading his bio, and his love of barbeque only confirmed it. I'm thankful to have logged a few notable voyages, but the journey home is always the best, I think. Home being where you're from, originally. It's funny how that word changes as you get older, too — when you're a kid, it just means a house on a street somewhere. It's where you wait for the school bus, it's where your basketball goal is, where your mom force-feeds you vegetables. Then you hit a certain age, where suddenly you're moving around every few years, and it becomes more of a feeling than a real place. It's nice to get a taste of that every once in awhile. Tell us your three favourite places? 1. Mykonos, Greece. When I was in high school, our art teacher arranged for a small group of us to travel abroad for two weeks—we snaked through Italy, Greece and Turkey and spent a few days on a boat in the Aegean. Really incredible experience, but of all the places we stopped, I distinctly remember a night in Mykonos, sitting outside of this little bar (we may have circumvented the school's drinking policy once or twice or thirteen nights in a row), watching rickety sailboats float in and out of the marina and thinking, "I could live totally live here forever." 2. Santa Barbara, California. Last November my buddy and I toured the coast, driving Highway One from San Diego up north to Monterey. He was checking out grad schools so we spent a day on the UCSB campus, which is tucked right in between the hills and the ocean. It's one of those rare places where you could hike a mountain in the morning and surf in the afternoon, with just a bicycle to get you around. 3. Kansas City, Missouri. You heard me correctly, yes. I can't really explain it, but it's always kept me in some kind of mystically alluring grasp. I lived there a few summers between university semesters and, try as I might, I simply can't recall ever having a bad time. A lot of people don't realize it, but the arts district of Kansas City has more galleries per square mile than any other neighborhood of any city in the country. For a midwestern city especially, there's a hugely progressive cultural movement, great music, and lauded barbeque joints lurking around every corner. I'd settle for any of the above. 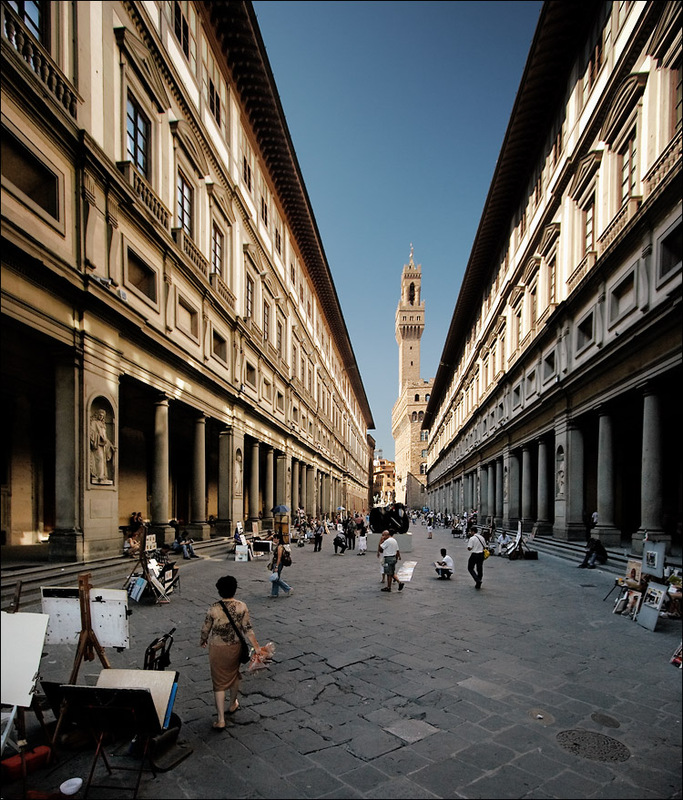 But assuming for the sake of this question that those are off-limits, I might pick Florence, Italy. It was my second-favorite of the stops we made on the high school trip. The architecture is overwhelming—it sort of feels like you've stepped back in time. In no particular order or chronology: Rodrigo Corral (& his sometimes-partner-in-crime Ben Wiseman), Hey!, the team at Anagrama, James Joyce, Studio8, Saul Bass, Paula Scher. I had a creative director try to tell me once that collaboration doesn't yield ideas, that working alone off in a corner somewhere is the only way you'll ever do good work. Had a tough time subscribing to that. Worst advice you’ve ever given? Whilst playing GoldenEye 007: "Just use the Klobb." Cat urine is pretty foul. There are some alleys in New York that rank up there, but I can only assume that's because they are full of cat piss. When I was about eight, I attempted a back handspring off my parents' couch and broke three of my fingers. So I guess that. See more of Matt's wonderful work at chasematt.com and of course here. First up is Nate Luetkehans, a San Francisco native who made navigable and beautiful the complex maze of Rome. We asked Nate a few questions to which he has graciously sent these responses. Tell us about three of your favourite places. 1. North Beach, San Francisco for visual inspiration. I love the design and typography all around this area. The neighborhood has some of my favourite — and generally awesome — metal letter signs (the Condor, the Crowbar) and painted buildings (101 Records) in the whole city. 2. Cat Sanctuary, Rome for the cat and people watching. I can't even count the amount of time I spent sitting around this piazza while I studied in Rome my senior year of school. Cat Sanctuary is properly known as Torre Argentina, and its ruins are believed to be the remains of Pompey's Theatre, the spot where Julius Caesar was actually killed. Today it's full of Rome's stray cat population, and is refuge to hundreds of friendly cats. 3. Olmstead Point, Yosemite for the view. My first visit to Yosemite was amazing, and it's crazy to think that this place is just four hours away from where I live. I spent a week here last summer and can't really describe how epically beautiful it is. Where would you love to go but haven't had the chance? All of my travel up to this point has been to larger cities, so if I had the chance I'd really love to go and spend time in a rural, Miyazaki-esque, area of Japan. I'd also settle for Disneyland. Where have you been, and never want to return? It seems like I should really answer this question with the name of a city I've traveled to, but I don't know that I've ever been anywhere I'd never give a second chance. I have, however, gotten my hair cut at a particularly bad barber that I can't say the same thing about. One of the advantages of email is that we've avoided the humiliation of mispronouncing your name. Just so we're prepared, would you spell Luetkehans for us phonetically. It's much easier to pronounce than it looks — it's Luet (Loot) ke (Kuh) hans (Hahns). You can see more of Nate's work here, and we very much hope on future Herb Lester projects.